Fanciful Limited is back with the second release. A split Ep from Mandat and Rocco Caine. Mandat comes out with their debut release on Fanciful. 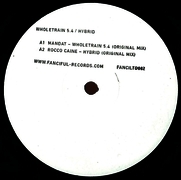 Wholetrain 5.4 is a very rhythmic and powerful track characterized by his vigorous hi hats. With Hybrid, Rocco Caine creates a dark and energetically atmosphere but always with the focus on the dance floor. 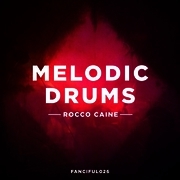 "great tracks again by rocco! full support"